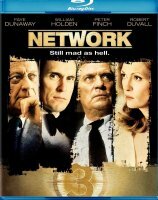 Network is a 1976 film about the creation of news through the exploitation and manipulation of reality in a cynical game of chasing the highest possible ratings. When news anchor Howard Beal gets fired for low ratings, he begins to speak "the truth" on air. His off the cuff rants give the network incredible ratings and they immediately seek ways to keep milking Howard’s popularity. The film will be in English with subtitles! See you Wednesday night at 20:30! Tutti Frutti is more than just a cinema. With the proliferation of expensive and sterile mega cinemas, Tutti Frutti movie nights offer an evening when we reclaim our creativity, watch, analyze and discuss films in an autonomous space. In our fight against ACTA, the deepening enclosure of digital commons, and austerity measures being applied across Europe, these movie nights are one more way in which we say Ya Basta! All Tutti Frutti films will be kept on file and contribute the building of an open, common digital library in the Social Center.